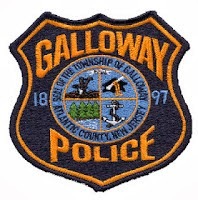 On June 22, 2014 at 11:34 p.m., Galloway Police responded to a call regarding a possible assault in progress on Federal Court. The alleged assault was in front of Building 6 on Federal Court. Officers arrived and located several male subjects who were highly intoxicated and arguing. K-9 Ofc. Kevin Welsh observed a handgun on one of the subjects, later identified as Anthony Lewis, 23, of Pleasantville. A brief struggle ensued between Lewis and K-9 Ofc. Welsh however Lewis was safely taken into custody and the gun secured. No other subjects were injured. Lewis was lodged in the Atlantic County Jail Facility on charges of Unlawful possession of a loaded Hi-Point .380 semi-automatic, possession of hollow-point bullets and possession of a handgun by a convicted felon. His bail was set at $100,000.00 full.